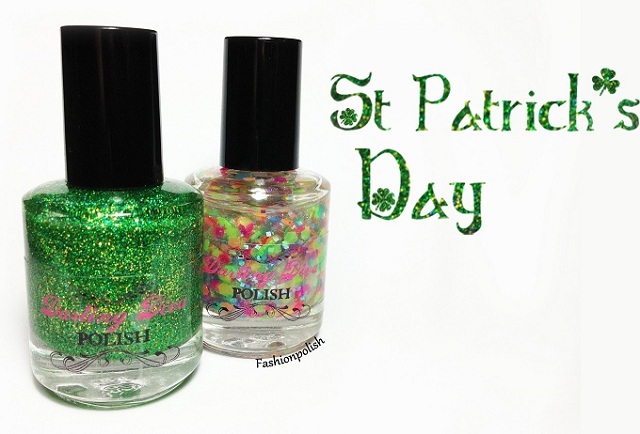 Last week I showed you 2 pinks from the Darling Diva Valentine's Day collection but today I have something for the green lovers: the St Patrick's Day duo! 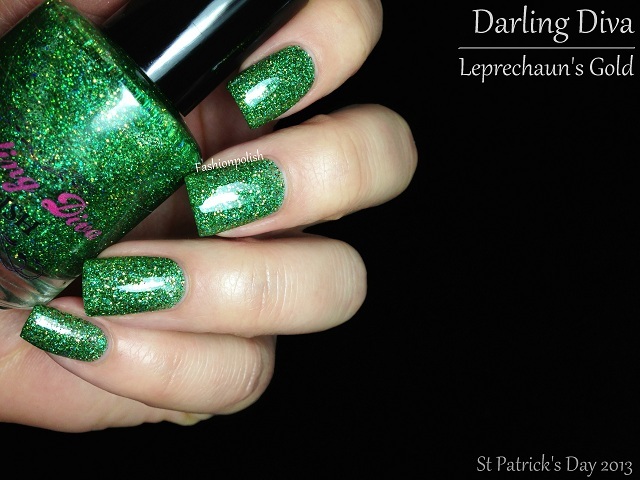 Leprechaun's Gold is a relatively fine mix of green and gold glitters in a clear base. Super fun and sparkly! I loved wearing it. Formula was nice and offered good coverage without being too thick and requires 2 to 3 coats for full coverage. I used one thin plus one medium coat (plus topcoat) in the swatches below and it looked almost completely opaque. Sugar Rush is a happy mix of multicolored translucent hex sheets combined with iridescent turquoise squares and various small glitters/shimmers in a clear base. I would advise layering it over a pale shade or to emphasize on the multicolored pieces as I'm not sure they'd show properly over dark colors. I used one thick-ish coat over white and used the dabbing method to fish and place all of the glitters. Probably not the easiest to work with but really worth the effort! Leprechaun's Gold and Sugar Rush retail for $8 each and are available for purchase on Etsy. For more information, such as new releases and/or special offers, please refer to Darling Diva on Facebook. Beautiful swatches as always! 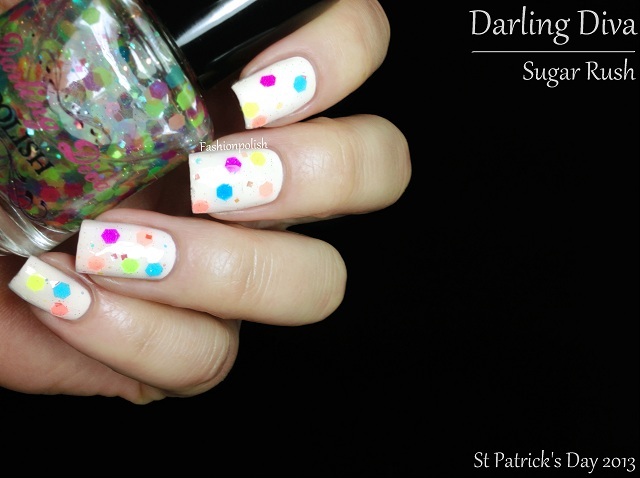 Sugar Rush is so bright and adorable, and I'm really impressed with Leprechaun' Gold--it's so lush! I have sugar rush and agree that it isn't the easiest to work with. It's gorgeous and I do love it! I have sugar rush and you're correct that it's not the easiest to work with. It's gorgeous through and that makes it worth it! Awww...they are both gorgeous! But I prefer the first one. I super love the color for i find it so elegant and classy. Perfect for any occasion. OMG!!! I want this Sugar Rush!!! just amazing and super cute. Leprechaun's Gold is so beautiful! Mix of gold and green is the best! Love it! These are so fun!! I would definitely wear them for St. Patrick's Day! I'm loving both of them. The Leprechaun's Gold is the prettiest green I've seen in that type of formula. The glitter? 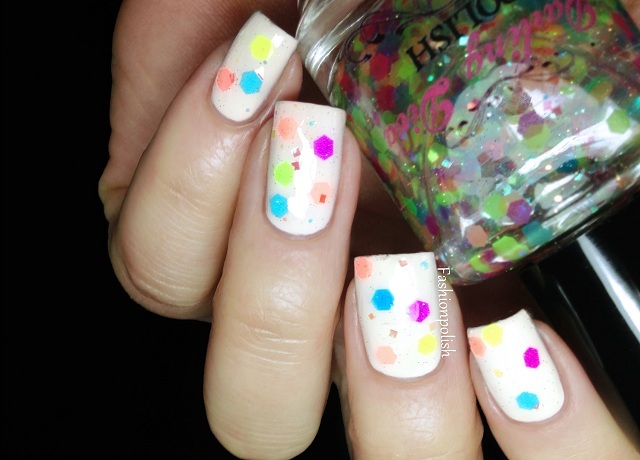 Clever, fun and gorgeous!